What weight can a 7.5t take? How many pallets will fit in an artic? Commercial Vehicle Payloads…. 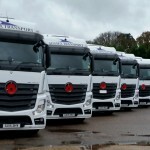 The world of general haulage brings with it a minefield of varying vehicle types which come in all shapes and sizes each with differing lengths, widths and carrying capacities, oh and not forgetting their individual capabilities too…. The freight/goods that are transported by these vehicles aren’t, unfortunately, all lightweight and square in nature… oh if only!! Life would be so much easier!! 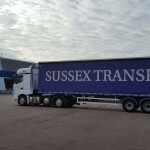 It is our responsibility to match our customer’s freight requirement (whatever the shape, size, weight and offloading needs it has) with the appropriate vehicle …So let’s see what different options Sussex Transport can offer you…. 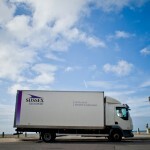 We will start with 3.5t vans, our smallest, but…. small doesn’t mean simple. The Mercedes Sprinter van alone can be manufactured in over 1700 variants across 8 body styles and that’s just one manufacturer with one vehicle type. 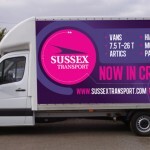 So here we go….below is a list with basic details of all of the vehicles we are able to offer our customers, this provides a pretty good outline but the finer details you will have to leave to the experts… in this case – that’s us… Sussex Transport! note: A collection of our fleet can actually take more than the above pallets due to our body configurations. The above numbers are fairly standard and a good start. 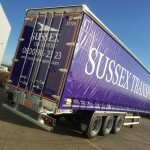 However these dimensions, payloads and pallet quantities can vary depending on the builders and haulage company specifications… i.e whether its a curtain, box or flatbed body, the number of axles and even tyre sizes can vary the load carrying capacity, other things that can affect carrying capacity are things such as moffett (forklift) attachments, Tail lifts, fridge units, specialist plant trailers etc … the list is endless. 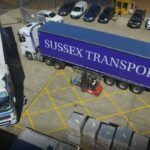 This entry was posted in Artic Transport, Delivering to..., News, Where are Sussex Transport going..., Where are Sussex Transport..., Working with... and tagged commercial vehicles, fleet, haulage, how many pallets. Bookmark the permalink.